Swing-up pan neatly carries litter and rubbish away. 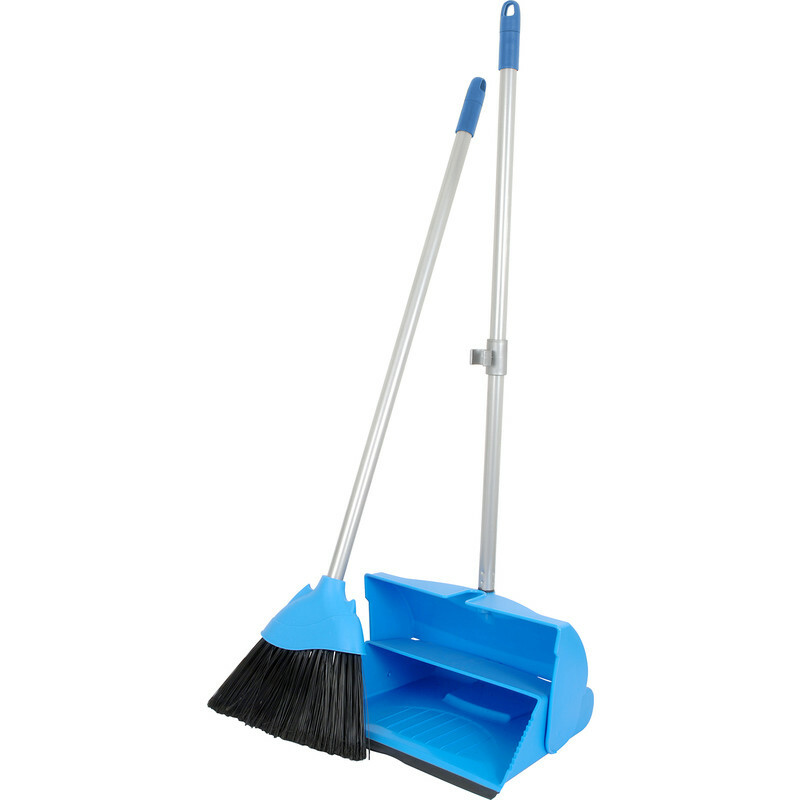 Practical, easy-clean dustpan in plastic with extruded handle. Soft bristle lobby brush ideal for carpets, hard floors and outdoors, complete with snap-on handle clip. Lobby Dustpan & Brush Set is rated 3.0 out of 5 by 6. Rated 4 out of 5 by Rodney1 from Easy to use Saves a lot of bending down. Rated 1 out of 5 by D Hormone from Cheap... Turned up broken - poor build quality. Rated 1 out of 5 by dttuk from returned all broken we ordered 5 sets but when they arrived they were all broken - advised by the courier to reject the delivery which we did , now still waiting for a refund! Rated 5 out of 5 by Shane6047 from Good quality Price was not the cheapest but the build quality makes up for it. Rated 2 out of 5 by Yuri from Lobby dustpan I am not happy with the quality of this dust pan,the cap comes off constantly ..